A splendid early gothic church, founded in 1240, dedicated to St. James the Apostle, was the most affluent of the parish churches in Bruges. The interior is decorated with 16th to 18th century paintings. St. James's Church (Sint-Jakobskerk) was originally built around 1240. The church was considerably expanded in 1459 to match the rising affluence of Bruges, and was patronized by the Duke of Burgundy. In the late 17th and early 18th century the church's interior was remodeled in its present Baroque style. Well worth a visit, just for the sheer beauty of the craftsmanship. 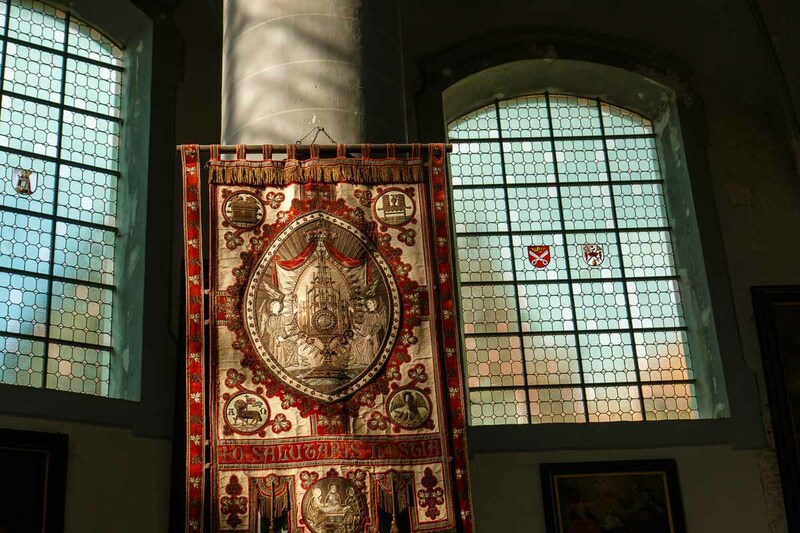 A beautiful church close to the city centre, full of calm and renaissance art, and recommended for any visit to Brugge. Another gorgeous example of gothic architecture in a city where history commands everywhere you go. The exhibition is staged beautifully including artifacts, statuary, ornamental robes and a gorgeous pulpit and pipe organ. 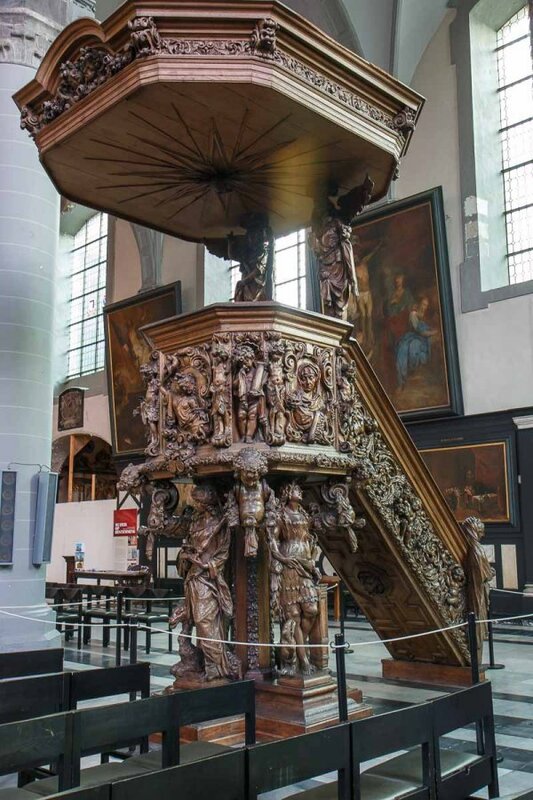 The carved wood pulpit and confessionals are something to admire and the medieval artwork is breath-taking. In an almost indistinctive building the art-loving traveler discovers a rich collection of genre paintings and tryptichs, superb ornamentations, exquisite architectural elements and a peaceful, dignified atmosphere inviting to reflection and if so inclined prayer. 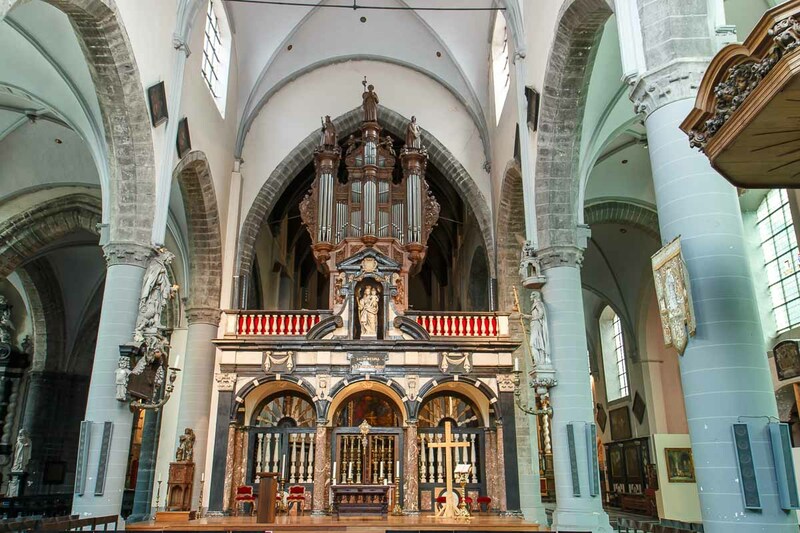 the Sint-Jacobskerk, dedicated to St. James the Apostle, was the most affluent of the parish churches in Bruges. 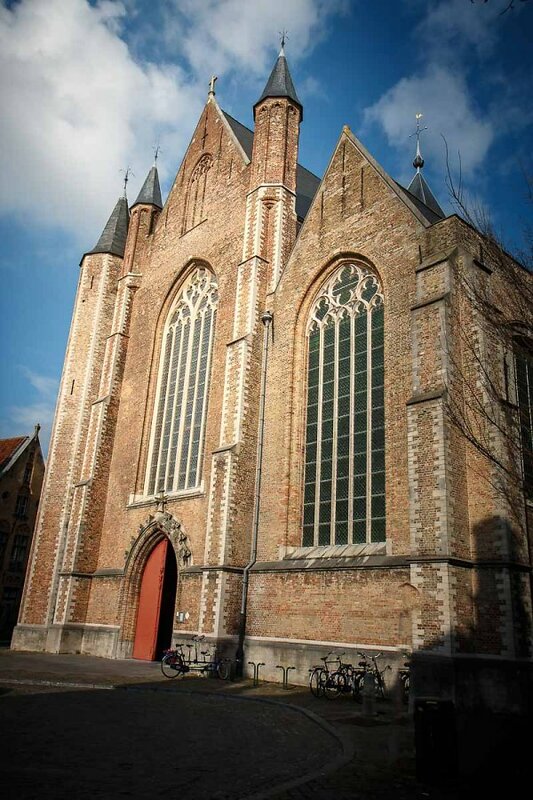 The parish was founded around 1240 to serve an area of the city populated by merchants and aristocrats, and by the end of the 13th century, a new, single-nave, cruciform church with a central tower made of bluish-grey Tournai stone had replaced the small chapel of St. James built a century earlier. Today, four massive pillars in the north aisle mark the location of the original crossing and choir of the church, and the tower they support still identifies the church in the city skyline. In 1459, an ambitious campaign to enlarge the church began, a reflection of the increasing wealth and prestige of its parishioners which by then included the household of the nearby Prinsenhof, where the Duke of Burgundy lived when in Bruges, as well as affluent merchants, bankers, and trade guildsmen. 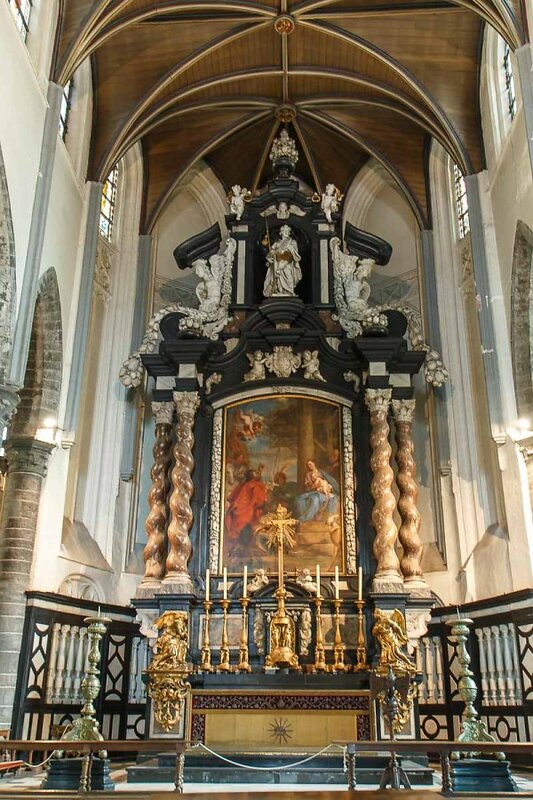 The interior of the Sint-Jacobskerk was extensively remodelled in Baroque style during the late 17th and early 18th centuries; from this period date the marble high altar and rood screen, the black and white marble wall covering, as well as the oak pulpit and choir stalls. 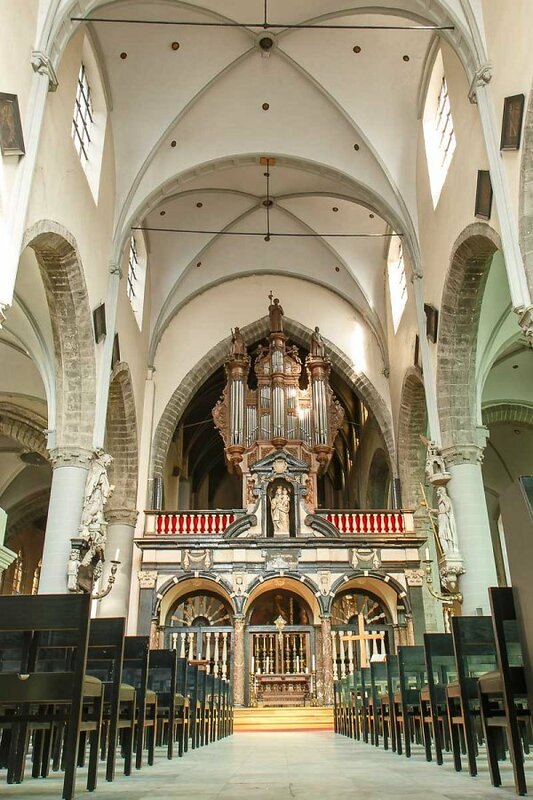 A visitor entering today is thus presented with a Baroque interior which preserves only remnants of the prosperous medieval church.